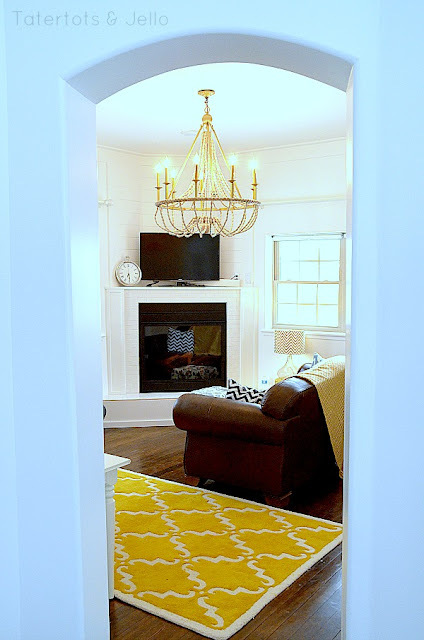 Jen created an amazing DIY beaded chandelier, a knock-off of a $2,000 piece, for her home. Although I am personally not a huge fan of beaded chandeliers, I have to admit that this one is pretty stunning. And if you are in the market, Jen's tutorial will save you quite a bit of money and you end up with a chandelier that is much prettier than the inspiration piece. You can check out how to make a DIY beaded chandelier over at Tatertots & Jello.